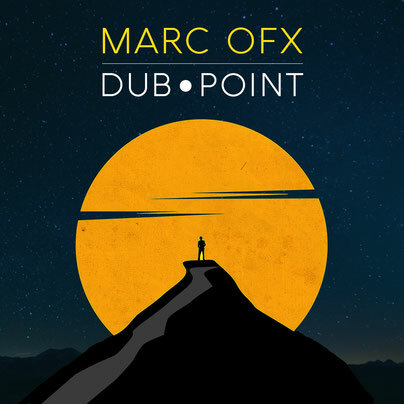 Who are you Marc Ofx ? "I started folk and electric guitar at the age of 16. I quickly got a 4 cassette tracks, rhythm boxes, my first synths and then I started my first compositions and models. In 1997 I took classes at the CIM school of Jazz in Paris where I was taught harmony, music theory, the practice of jazz guitar, the history of jazz. In 2000 I get an Akai S2000 sampler and I sample everything and composed with a computer and Cubase 1. I participate in the collective of Aulnay-sous-bois (93) Mo'Bass which is oriented Drum & Bass. 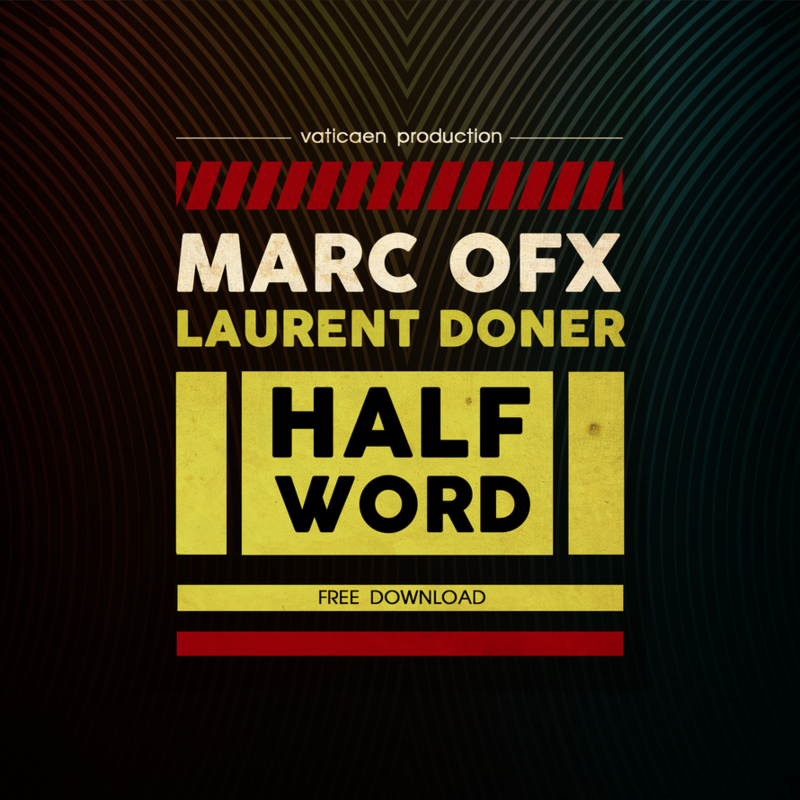 Several maxi are released under this label and quite a lot of underground parties. I also participate in the folk guitar to the album entitled PNY by Pascal Nyiri, singer and flutist. I play guitar parts that are sampled for the production of the Insomniak rapper CD. 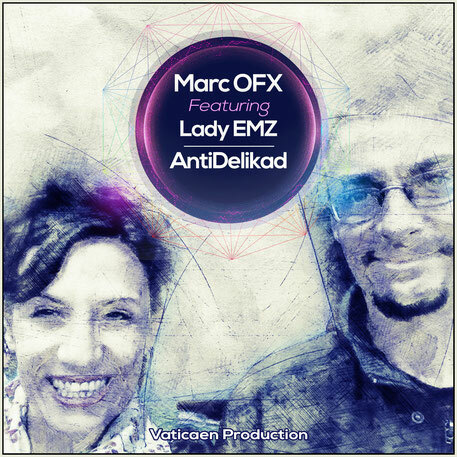 I created several Trip-Hop and Drum & Bass projects, some of which were released on Good Citizen Factory, Sleepy Bass recordings, DNBB recordings, Good News Boppers, Strictly Nu Skool, Team 174 and other free labels in collaboration with Lady EMZ, , And Alice Joly. I also worked three years with the singer Kats Bartok, we made an album and a few EPs. From 2015 to 2016 I joined the group Marty Brownn (Funk Soul Jazz Hip Hop) whose EP was released in auto-prod August 1, 2016. I continue my personal projects including an album in preparation with future featurings. I have been trying for a few months in the Dub and Reggae styles that I have enjoyed since my childhood thanks to the collection of vynils of my big brother." Vocalist, dancer and performer from the north of Spain, between London and Barcelona from an early age. Has worked and learned in the UK with different producers and musicians of the Blues, Jazz, Funk, Dub, DnB, World music scene (Gavin Bush, ADF, Community Music, ZEN studios...) and performed in venues such as WKD, Vibe Bar, Astoria, The Purple Turtle, The Mass, The Fridge...among others. Currently, residing in Barcelona, where she has been working on various projects. DjBenvinda, Trash Van Traxx, SoundShifter, Dam'age, Refold, Graish and Doña Matilda ...), and a little Funk/Soul/HipHop (DjPanko-Ojos de Brujo, djmax-barXino, Manifesto-Brasil, iLoGiKe-Hardly Brez, Asmatic, Jr Wise, MrConfuse, Anarkattack, Bongo lounge, Widi, Mai ...), live and in radio sessions. She has shared stage with names like: BizzyB, The Asian Dub Foundation, Sabre, Silver, NOHA, Jungle Therapy, DjFly, DjFood, Konkrete Jungle Crew, MrConfuse, Mika9, DjFabio ... and at festivals such as: Femelek, Sónar, Hipnotik, WeArt and Mountain Bass. Palenque, MrSoul, Madame Zuzu, Dreamlab, Low Poison, GET GAS, Flex Jazz Collective and Echosystem. She has also participated as resident MC at the weekly bassline party MAD SESSION, resident MC at events of the collective ZENSOUL, occasionally in JUNGLE JUNGLE nights, and with the Dubstep crew BLOW. Besides some projects of contemporary and African dance/ theatre, and her solid work as head-editor for RELEVANTbcn Magazine (magazine and website on urban arts, social issues and music). Always on the move and ready to explore all fields of expression!